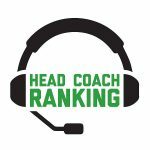 Between now and the start of the 2018 season, Head Coach Ranking will provide a scouting report on all 32 NFL head coaches. Today, we’ll take a look at New England Patriots head coach Bill Belichick. When we started HCR a year ago, we suspected that Bill Belichick might end up topping our rankings. But since we spent a lot of time formulating our ranking algorithm and game analysis protocols, we certainly weren’t going to shortcut anything and go with our gut. So as with every coach, we watched and analyzed every Patriots game very carefully, and by season’s end, Belichick did indeed top our inaugural regular-season rankings. While his career record is unparalleled, we suspect that even Bill Belichick would point out to the average NFL fan that there are situations in every game where there are no clear-cut answers and he simply has to rely on his tremendous experience and gut (e.g., foregoing a timeout call just before Malcolm Butler’s interception in Super Bowl 51). Belichick obviously is a master game-planner; his team, more than any other in the NFL, prepares each week for a specific opponent — the Patriots don’t just show up and do the same thing each week as the vast majority of NFL teams do. Belichick is the best head coach in the league in building a roster that is incredibly versatile and able to play any style of football. No other team in the NFL can do this and none even attempts it. Belichick has one obvious advantage over most of his peers — he has 100 percent control over football operations. Every decision pertaining to football is his; perhaps only Jon Gruden has similar authority. So if Belichick wants to obtain or release a player, he can do so quickly and without any interference. And while this is obviously an advantage most of his peers do not have, Belichick has certainly earned this privilege. While Belichick topped our rankings in 2017, even he can make an error in judgment at times. Notably, in last year’s home opener against the Kansas City Chiefs, the Patriots had a chance to kick a chip-shot field goal and take a 10-0 lead in the first quarter against a Kansas City team that was on the ropes in front of a rabid road crowd just minutes removed from the unveiling of another Super Bowl championship banner. To our surprise, however, Belichick passed up the easy 3 and the momentum. He chose a fourth-down play that was unsuccessful. The Chiefs gained confidence after a good defensive stand and subsequently went on to defeat the Patriots. It was, in our view, a rare misjudgment by the league’s best coach, and shows that even the best of them can get one wrong now and then. Belichick, however, is capable of coaching gems that will elude others. In 2016, for example, his game plan for rookie QB Jacoby Brissette’s start against a good Texans team was a masterpiece of design and execution. And in a Week 10 road victory over Denver last season, Belichick completely overwhelmed Broncos head coach Vance Joseph as the Patriots completely dominated the Broncos, and Belichick notched HCR’s first and only perfect score of 10.0 for the week. One challenge facing Belichick this year will be the loss of longtime defensive coordinator Matt Patricia. Linebackers coach Brian Flores will be the defensive play-caller, but we will be keeping an eye on how Belichick and Flores interact when adverse situations arise during games. Thus far in the preseason, it appears the Patriots will be a more aggressive defense and will attack more often, but again, that was the preseason. Something altogether different could happen in the regular season. Bill Belichick certainly is the greatest coach in NFL history during the free agency era, and he also is in the discussion for greatest NFL coach of all-time. But will he maintain his standing atop our rankings? It certainly would be an upset if he ever fell out of the top three or four. His experience, knowledge of his own team, and dedication to his craft will always give him and the Patriots an edge.